This week, I continue with “numismatic curiosities,” some well known and some obscure. 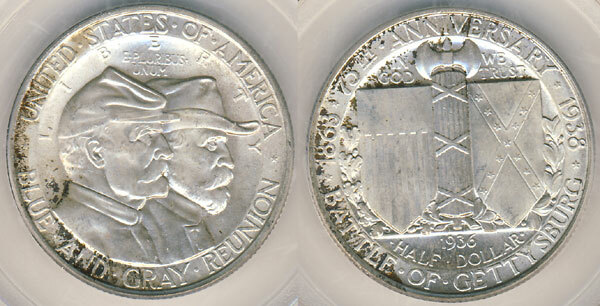 • The 75th anniversary of the 1863 Battle of Gettysburg was really celebrated in 1938, but in an attempt to cash in on the 1936 commemorative coin boom, the issuers jumped the gun and dated the coins 1936. • In the summer of 1862, when scarcely a coin of any kind was to be seen in circulation in the United States, there was a glut of U.S. large cents in commercial channels in Canada. • “Gold Medal” awards handed out to exhibitors at the 1904 Louisiana Purchase Exposition in St. Louis were made not of gold, but of copper. • Almost but not quite: At one time in the 1850s there was a strong call in Congress to set up a mint in New York City, as it was viewed as being more central to commerce — especially incoming bullion shipments from California — than Philadelphia. Other proposed mint locations over the years have included The Dalles, Oregon and St. Louis, Missouri. 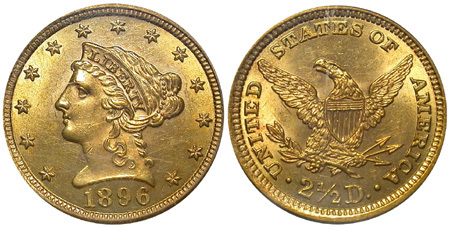 • When the Treasury Department called in gold coins in 1933-1934, quarter eagles were exempted from the order, as all were considered to be of significant numismatic value. • The last coin acquired to complete the Louis E. Eliasberg, Sr. Collection was the 1873-CC Without Arrows dime, which he purchased on November 7, 1950. • The denomination of the 1776 Continental Currency pewter coin remains a mystery. Was it intended as a dollar? Or was it of some lower denomination? I am inclined to view it as a fiat (non-intrinsic value) dollar, a substitute for a paper dollar. • The Guide Book of United States Coins has been issued every year since 1946 (dated 1947) and in the process has become the best-selling coin book ever. Copies of the first edition have sold into the hundreds of dollars.